WELCOME to the Juneau International Folkdancers or JIF. Incorporated in 1979, JIF has been serving the Juneau area as a non-profit organization dedicated to the teaching and enjoyment of folk dances and to the sharing of knowledge and appreciation of folk cultures from around the world. We meet year-round every Sunday between 6 and 8 p.m. at the JRC/Alaska Club in downtown Juneau. The evening begins with the teaching of dances and progresses to dances done by request. Beginners are encouraged to stay and follow along—it’s a great way to learn and to get some great exercise. There are a wonderful variety of styles and music. We always welcome newcomers, whether complete beginners or experienced dancers. We enjoy dancing folk dances from around the world. No partner is needed; most of our dances are in circles or short lines, with a few partner dances and the occasional set dance. There is no charge for these recreational evenings. In addition to our Sunday recreational program, we sponsor monthly ballroom dances at Centennial Hall and co-sponsor monthly “barn dances” (New England contras) at different locations. We sponsor the annual Juneau DanceFest over Labor Day weekend and support ballroom dance instruction in Juneau’s middle schools. Come join us at one of our Programs or Special Events! Dances are located in Centennial Hall, 7-10 PM, unless otherwise noted. Lesson at 7:30 PM. Dances with live bands are $10. All others $5. Visit our Special Events page. 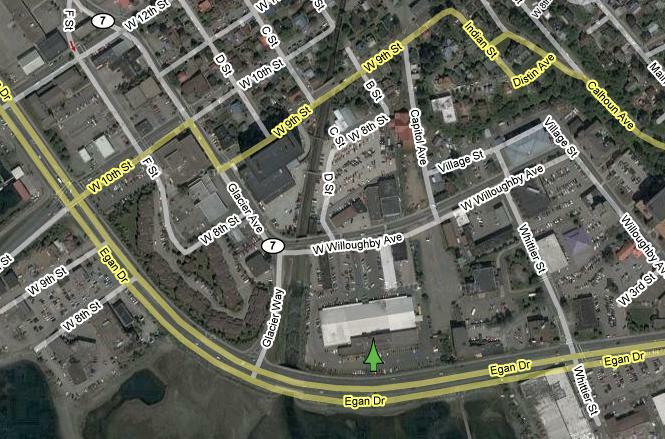 The JRC/Alaska Club is located at 641 Willoughby Avenue in downtown Juneau. For an interactive version and directions from your location, please click the map.. The Juneau International Folkdancers gratefully acknowledges the financial support of the Juneau Arts and Humanities Council, the City and Borough of Juneau, the Alaska State Council on the Arts and the National Endowment for the Arts, a federal agency.